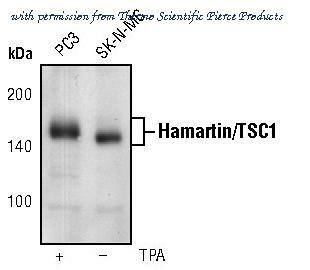 The hamartin antibody from Proteintech is a rabbit polyclonal antibody to a peptide of human hamartin. This antibody recognizes human,mouse,rat antigen. 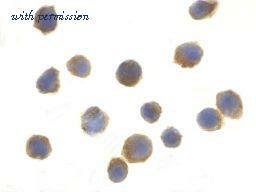 The hamartin antibody has been validated for the following applications: ELISA, WB, IHC, IF, IP analysis. Dot blot of mouse TSC1 Antibody (Phospho S1130) Phospho-specific antibody on nitrocellulose membrane. 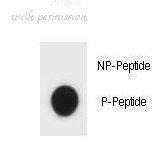 50ng of Phospho-peptide or Non Phospho-peptide per dot were adsorbed. Antibody working concentrations are 0.6ug per ml. Dot blot of Mouse TSC1 Antibody (Phospho S1138) Phospho-specific antibody on nitrocellulose membrane. 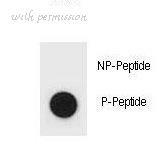 50ng of Phospho-peptide or Non Phospho-peptide per dot were adsorbed. Antibody working concentrations are 0.6ug per ml. Dot blot of mouse TSC1 Antibody (Phospho S312) Phospho-specific antibody on nitrocellulose membrane. 50ng of Phospho-peptide or Non Phospho-peptide per dot were adsorbed. Antibody working concentrations are 0.6ug per ml. Detection of Human, Mouse, and Rat TSC1 by Western Blot. Western blot shows lysates of HeLa human cervical epithelial carcinoma cell line, PC3 human prostate cancer, Balb/3T3 mouse embryonic fibroblast cell line, and PC-12 rat adrenal pheochromocytoma cell line. PVDF membrane was probed with 1 ╡g/mL of Sheep Anti-Human/Mouse TSC1 Antigen Affinity-purified Polyclonal Antibody (Catalog # AF4379) followed by HRP-conjugated Anti-Sheep IgG Secondary Antibody (Catalog # HAF016 ). A specific band was detected for TSC1 at approximately 145 kDa (as indicated). This experiment was conducted under reducing conditions and using Immunoblot Buffer Group 1 . 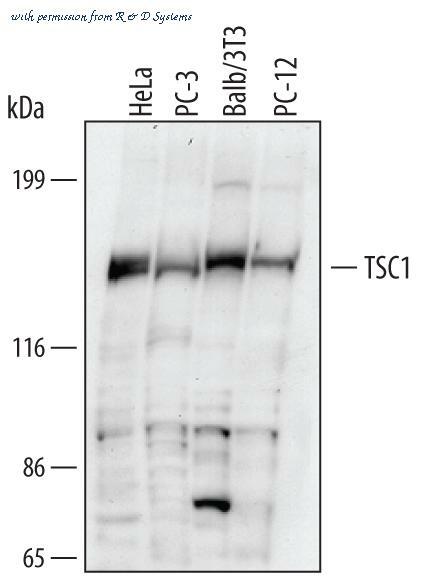 Western blot analysis of TSC1 in EL4 cell lysate with TSC1 antibody at 1µg/ml in the (A) absence and (B) presence of blocking peptide. 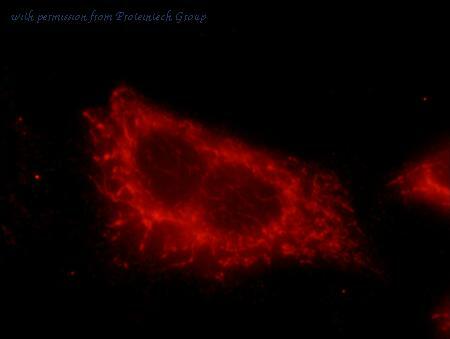 Immunocytochemistry analysis of TSC1 in EL4 cells with TSC1 antibody at 2µg/ml.